The Color History palette keeps track of your most recently used colors. Here 6 strokes from 1 (first) to 6 (last) were drawn. 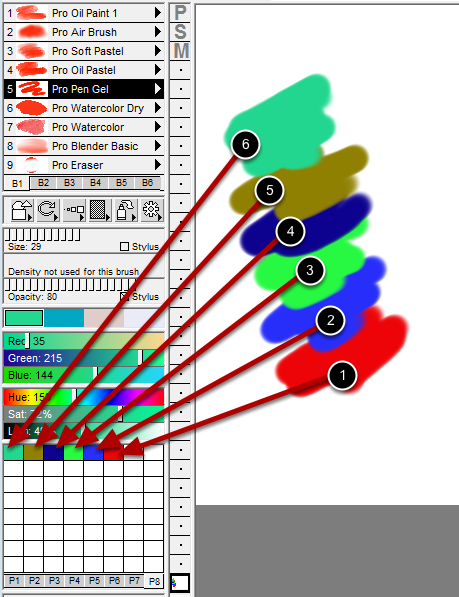 Notice the colors were automatically recorded into the Color History palette. The color squares in the Color History palette are 4 times larger than other palettes to make it easier to identify the unique unrelated colors.